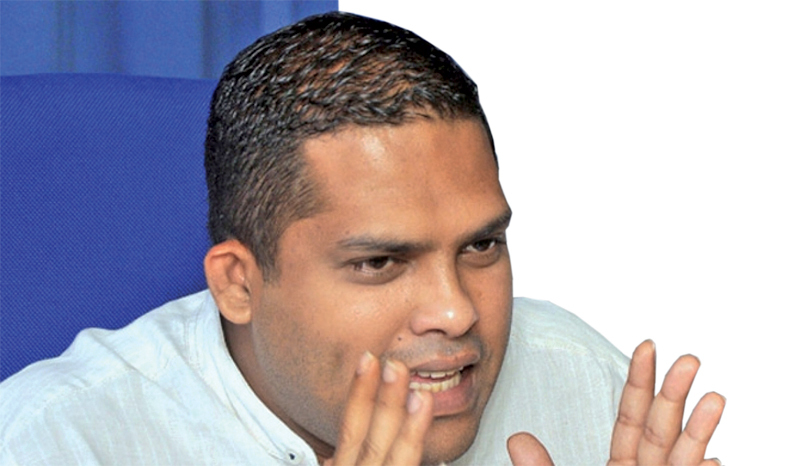 Sports Minister Harin Fernando yesterday stated that he was approached by certain individuals who offered bribes requesting him to include players into the Sri Lankan Cricket team. Minister Fernando said that he had already made a complaint about those attempts to International Cricket Council Anti-Corruption Unit Head Alex Marshal on Wednesday (16). Minister Fernando made these observations in a live interview broadcast over BBC News Sinhala on Thursday (17) evening. Minister Fernando said that the very attempts indicate the level of corruption in Sri Lanka Cricket. “When I complained about this to ICC Anti-Corruption Unit Head Alex Marshal, he held his head in shock. I did the same. For a moment I thought someone was trying to pull my leg. Things like this have never happened in our history before,” Minister Fernando observed. Minister Fernando said the draft of new sports law preventing match fixing will be presented to Parliament by March. Minister Fernando said those who are found guilty of match fixing will be given prison sentences ranging from three months to fice years while the penalties will range from Rs.500,000 to Rs. 5 million. Minister Fernando also observed that the amnesty period, declared by the ICC Anti-Corruption Unit requesting players to provide them with details on SLC corruptions, was a success.